What do people see when you smile? Do they see confidence, happiness and vitality? Does your smile convey the best of who you are? Let the professionals at Heritage House Dental help you put your best smile forward. Our team of dentists, hygienists, and dental assistants provides a complete range of services – from basic dental care, through orthodontics, teeth whitening, to a total cosmetic makeover including dental implants. So you can convey your very best, each time you smile. 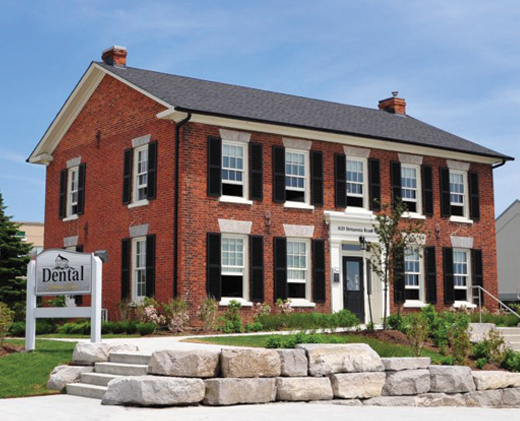 © 2010-2019 Heritage House Dental Dentist in Mississauga Dental Office for patients from Mississauga, Meadowvale, Heartland and Streetsville. Family dental care, dental implants, tooth restoration and repair, teeth whitening, sport mouthguards, orthodontics, cosmetic dentistry, general dentistry.